The recently launched Every Door Direct Mail (EDDM) service by the US Postal Department is intended to help small businesses, especially food chains and retail businesses enhance their marketing campaigns effectively. So, you are gearing up to open your restaurant franchise. You would be feeling excitement as well as anxiety, as to how it will go, and what market the new store brings. When you are looking to expand your food business and improve your sales, including a to-go menu can be the perfect catalyst to enhance your restaurant’s popularity and brining in higher revenue. Pizza is definitely one of the favorite food items for many people. And that is why opening a pizzeria is considered a viable option for food entrepreneurs. But getting a good name and profitable business is not easy, unless you have put in effective marketing. While marketers tend to focus only on feeding branding and marketing methods with dollars to drive in more sales, these are always not the beneficial and result-oriented strategies, especially for small to medium sized food chains. For your to-go service, the most vital element is your to-go bag, which needs to be of high quality, custom-printed, and in variable sizes to enable customers to take away their food of choice efficiently. To-go bags are an essential aspect when you are looking to improve and expand your food service through to-go food service. In this digital age, the traditional form of direct mail advertising is still very effective in generating consistent revenue and is considered highly credible in building trust with the prospective customers. For restaurants, combination of innovative direct mail advertising with online marketing tools is a very effectual mode of tangible marketing system. Why a Restaurant Take out Bag is a Good Investing? After putting in the effort to build your restaurant atmosphere, it is time to expand the sale opportunities and build a brand image that connects with customers. As a way to provide quality and convenient service to customers, take-out service, with qualitative and customized take out bags has become a must-have asset. More than just carrying the food, restaurant take out bags have become an essential business need for effective advertising. These bags are used to carry light-weight as well as heavier food items, and provide added value to the customer. A menu is not just a list of available food items, but a tool to communicate with the customer and defines the restaurant’s identity and helps in driving profit. There are several psychological strategies related with menu design, which works well in creating a unique brand identity of the restaurant and helps to delight customers, increasing the profit margins. Why Print Your Restaurant Menu on 100 Stock Papers? Acting as the calling card of the restaurant, a menu is certainly the most important customer-interaction medium for a business. 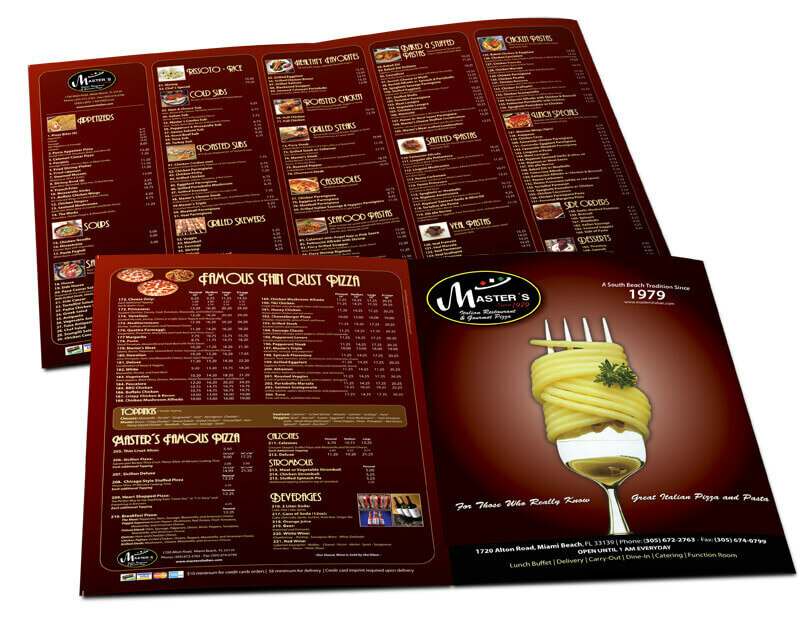 How you use your food menu is equally important as great menu design? 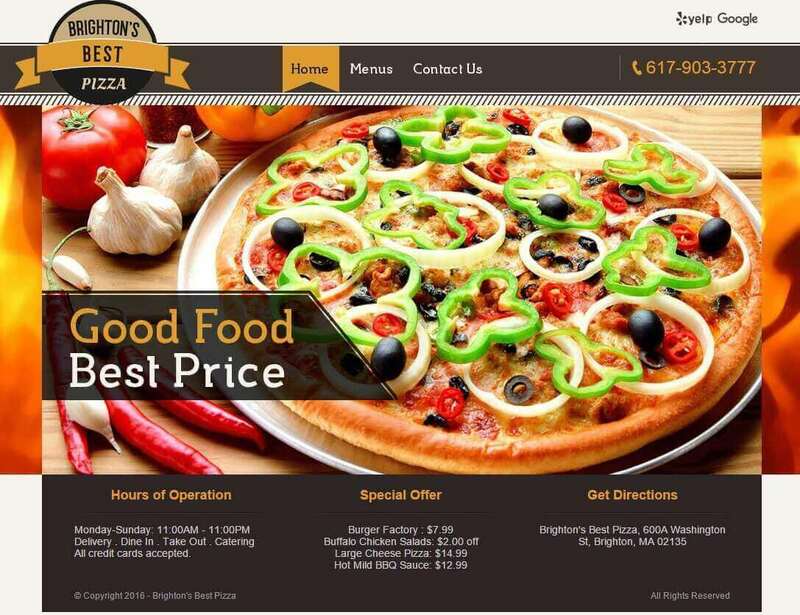 Just having a great food menu design, which has the potential to attract customers and entice them to try extra foodstuffs, is not enough to guarantee comprehensive and profitable service functionality. When a customer enters a pizza shop, he/she gets enamored by the aroma of the food. But this is just the first impression. The important factor comes when they ask what you offer. This is where your menu becomes your primary sale’s engine. A menu is the no. 1 piece of information, which a customer looks for information about the food offerings of the restaurant. 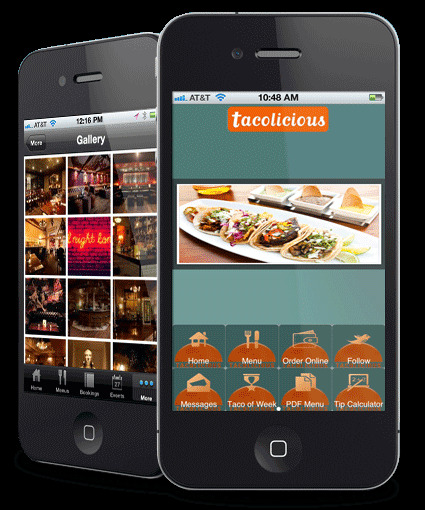 Thus, quality value-marketing of the restaurant has to revolve around the proper branding of the menu. The restaurant menu is an important aspect, which can define how well your items sell and how popular and unique your restaurant becomes. A menu should be strategically and thoughtfully designed, which provides easy understanding to the customer about the food items, and help them decide and order in quick manner. The whole culture of a restaurant is significant for creating good or bad impression in a customer’s mind, and menu is the most important element for this. It is the first form of interaction between the customer and the restaurant and plays the major role in influencing the customer to choose a food item.